Illustration by TBottch. Stolen from DeviantArt.com - how's THAT for deviancy? 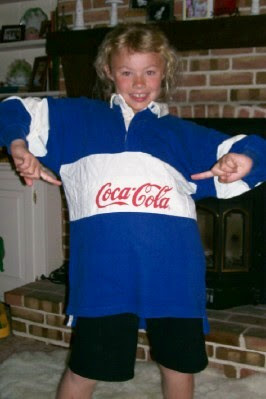 In 1983, as the Great Video Game Crash was looming upon the horizon, ready to crush huge software development houses and well-established corporate brands into digital dust, the gaming industry still had a few tricks up its Coca-Cola shirt sleeve. While kids continued to rabidly stuff quarters into arcade machines all over the country, the availability of increasingly sophisticated home gaming consoles was already chipping away at the coin-op market. This of course wasn't that surprising because after all, who wants to drive all the way out to the mall and drop $5 in quarters on Donkey Kong at the arcade when you could hit "reset" on your Colecovision at home as many times as you liked? So just as the film industry had done by introducing Technicolor and Panavision into theaters to stave off irrelevancy during the post-war television boom, the video game industry began looking into ways to pull kids away from their Ataris and Intellivisions in their living rooms and back into the money-sucking arcades. Improvements upon graphics and sound had been, up until then, the standard way to attract gamers who were looking for the latest and greatest in what the arcades had to offer, but the computer technology behind most games of the time was already being pushed to its limits. As fate would have it, however, a bright fellow named Rick Dyer, who at the time was the president of Advanced Microcomputer Systems, got the idea to take the basic structure of early computer text adventures and scale it up to accommodate prerecorded audio and photo stills, which would form a sort of visual story in which a player could take part. After several failed attempts at generating investor interest for what he dubbed his "Fantasy Machine," a chance viewing of producer Don Bluth's 1982 animated film, The Secret of NIMH, got him thinking about replacing the static photos with quality, full motion video which, as it turns out, was just what the project needed to get people excited about it. So Rick hired the veteran Disney animator's production company to do the grunt work and on an anemic budget of about a million dollars plus, they produced roughly 22 minutes of animated footage, which could then be played back on standard arcade machine monitors using Pioneer laser-disc players and coordinated by Dyer's "Fantasy Machine" hardware. 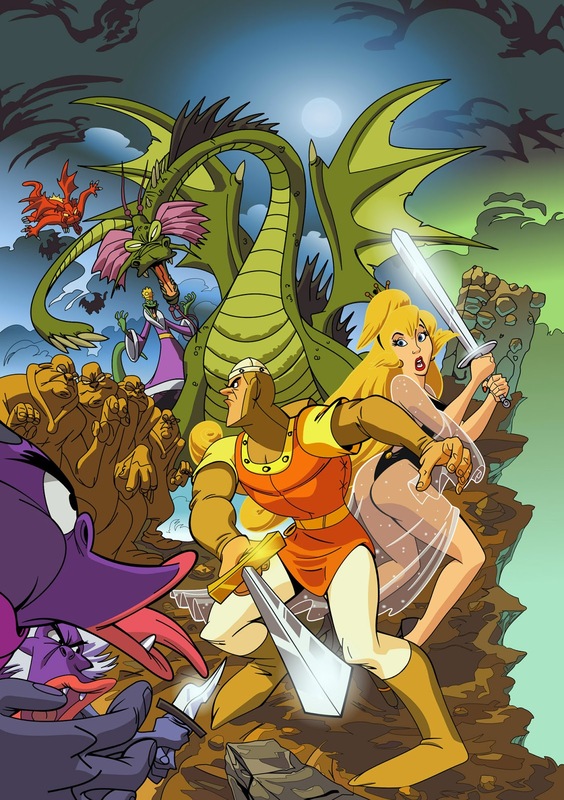 In partnership with seasoned coin-op manufacturer, Cinematronics, the first game released to utilize this new laser-disc technology was called Dragon's Lair. It's story revolved around a brave but sometimes reluctant sword and sorcery hero named Dirk Daring, whose purpose it was to explore a dark wizard's castle and battle magical monsters in order to rescue the beautiful Princess Daphne from the clutches of the evil dragon, Singe. 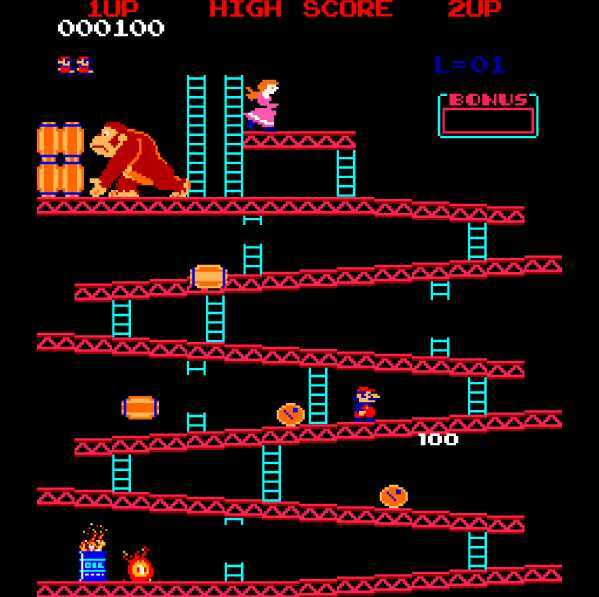 As in most video games, the player would interact by using a joystick and button, and had only a limited set of lives with which to complete the game. However unique to the arcade industry at the time, Dragon's Lair cost not just a quarter but a whopping 50¢ to play, which didn't sit well with a lot of gamers. Complaints also surfaced regarding Dragon Lair's gameplay as the pre-rendered video scenes only allowed the player to react to the canned events of the game, which meant that the player could not actually direct character movement or action as in traditional video games like Pac-Man, Galaga, etc. The initial success of Dragon's Lair did succeed in bringing excited gamers back to the arcades and eventually resulted in a number of sequels, knock-offs and competitors entering the market. 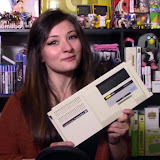 But it was a short-lived victory as the Great Crash (known in Japan as Atari Shock) eventually came anyway and obliterated everything in its path, leaving the landscape fresh and clear for a little company called Nintendo to take root and rebuild the video game industry from scratch. But that's a tale for another time. In the meantime, please enjoy this video which contains all 22 minutes of the original Dragon's Lair footage, as well as about 8 minutes of prototype video, taken from the 2002 laser-disc reproduction of the game.